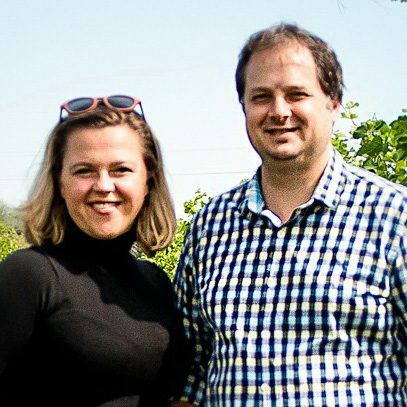 After many years as a Niagara winemaker, Ilya Senchuk and wife Nadia followed their dream to produce world-class, terroir-driven wines from unique plots of land across Niagara. Housed in a restored 1850s barn, Leaning Post epitomizes small-scale, artisanal winemaking that focuses on Riesling, Chardonnay, Pinot Noir, Syrah and Cabernet Franc. Our philosophy is to continue to find unique wines that truly show a sense of place. Ilya Senchuk is the owner and Head of Winemaking for Leaning Post Wines. Originally from Winnipeg, Ilya followed his heart to pursue his Bachelors in Oenology and Viticulture from Brock University, graduating in 2003. Ilya truly can’t think of a better medium than wine, to express himself. It allows him to use his scientific and geeky side along with his artistic and creative side; add the connection to place, people and history and it is what he truly loves most. Ilya found his true calling early and built his career working for premium wineries in Niagara. He also honed his craft by working internationally in New Zealand. The area around our winery near the town of Winona is an unusual micro-climate. The distance between the Escarpment and Lake Ontario is only 1.6km, by far the closest in Niagara. The proximity between the lake and escarpment results in very breezy conditions and moderated temperatures throughout the growing season. The resulting wines have an amazing elegance and restraint combined with intense flavour concentration, power and acidity. This unique place has captivated all of us since we started our winery, pushing us into exploring the terroir nearby. Along with our estate “Senchuk Vineyard” we get Chardonnay from “Il Vigneto” vineyard about 500 metres from our home property, both of which are in Lincoln Lakeshore sub-appellation. We believe in exploring as many different terroirs in Niagara as we can with our Chardonnay program. As a result, we receive grapes from various vineyards in other Niagara sub-appellations to find the very best terroirs. For example, we source Chardonnay from “Wismer – Foxcroft Vineyard” in Twenty Mile Bench sub-appellation in Vineland, and we will continue to add vineyard sources to our portfolio if we feel the location, aspect and farming practices fit within our philosophy and are likely to give us superior wine. All our Chardonnays can go through spontaneous (wild) primary fermentation in barrel, with spontaneous (wild) malo-lactic as well. Each of our vineyards is kept separate from picking and processing all the way through fermentation and aging. All our Chardonnays are released with low sulphite additions, and either a single very rough filtration or often no filtration at all. As a result, our wines will sometimes contain small amounts of sediment in bottle. Our goal is to allow the terroir of each vineyard site to shine through by using simple, minimal winemaking techniques. We feel this best captures the essence of the place the grapes were grown and translates that into bottle.